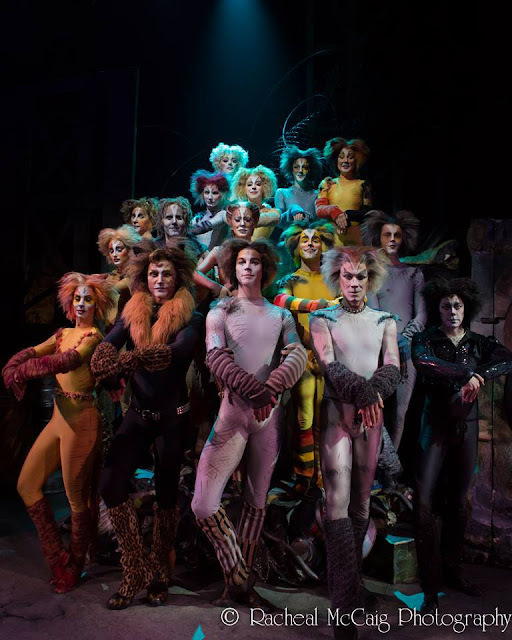 The All-Canadian new production of CATS is running at the Panasonic Theatre in Toronto, and it has been held-over until September 1st, 2013! It is based on "Old Possum's Book of Practical Cats' and Other Poems" by T.S. Eliot, and was composed by Andrew Lloyd Weber. It first opened in London in 1981, where it ran for 21 years! The new 20-member all-Canadian company of CATS is directed by Dave Campbell. Do you remember the CATS the musical? I remember being a child in my parent's car and hearing them play songs like Memory, The Rum Tum Tugger, Old Deuteronomy, and Grizabella: The Glamour Cat....all on tape cassette! When I was a teenager, I was fortunate enough to see CATS on Broadway in New York City. I'll always remember the amazing voices and jaw-dropping dance moves. Over 30 years have passed since those days, but I still could sing some of the CATS songs to you...it's that memorable. 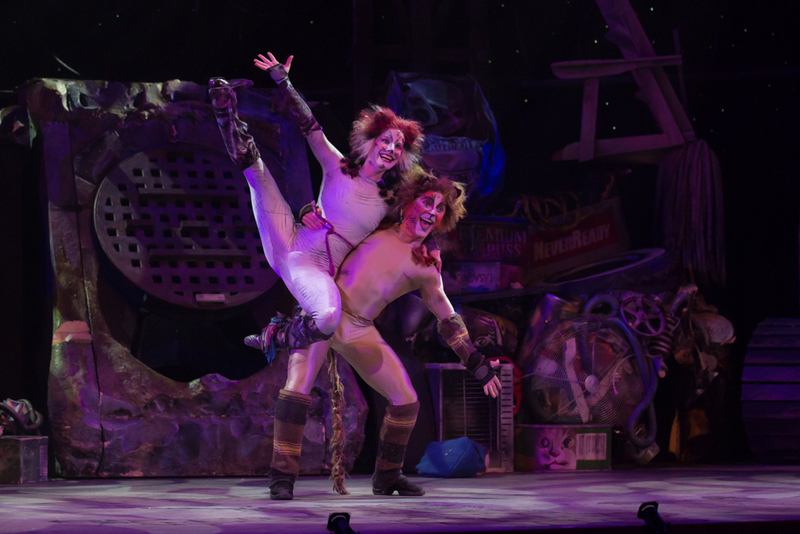 Expect to Be Entertained By the Dancing & Singing in CATS! Tickets to CATS are on-sale now at mirvish.com or by calling 1-800-461-3333. Or find out more information by visiting the CATS Toronto website! Follow CATS TORONTO on social media, below! WIN Tickets for two (2) to see CATS in the Panasonic Theatre in Toronto on Friday July 12th, 2013 at 7:30pm EST! Contest ends Monday July 8th, 2013...please check your e-mails that evening after 8:00pm EST! Leave a COMMENT below stating if you ever saw CATS the musical before, OR why you would love to see it, OR if you own a cat! Then, use the entry form below to enter the contest. GOOD LUCK! I've never seen CATS the musical but I've always wanted to (yes, despite the reviews :p). I suppose as a cat lover (I used to have one and I miss her terribly) and of course musical theatre lover, I'm not sure how it could be all that bad. :) Keep up the great work! I was just saying to my friend 2 days ago how I've never been to a live musical and how we should go some time! This prize comes just at the right time! I like cats, would love to see the musical! I saw this musical the first time it appeared in Toronto at the Elgin theatre. It was this show that made me want to be a dancer. Would LOVE to take my daughter to see it now. I saw this musical when it first appeared in Toronto. This was the show that made me want to be a dancer. I would LOVE to take my daughter to see it now! I've got a cat, I've seen "Cats", I'd like to see "Cats" again. I have never seen Cats. BUT when I was a wee child one of the first songs I learned on the piano was "Memories". Such a sweet, sad song. I love cats!!! My cat's name is Theo. I would love to see this production! I have never seen CATS and would love to see it! have never seen it and am allergic to cats, but i know it's legendary and would love to see it! I have never seen CATS and now that I'm a fan of cats and a proud owner, I would love to be able to see this famous show. I've wanted to see Cats but was never able to due to etcetera....but would love to....absolutely!!! I saw Cats in Ottawa many years ago when my daughter was young and now she is going to be 21 and moving to Toronto and it would be nice to win so we could see it together again. We both love cats and just got an 8 week old kitten as my daughter's cat had to be put down as she got very sick and we have an older cat as well. Never seen it but heard so much about it. I've never seen Cats but I've heard it's amazing and I'd love to see it!!! I have never seen Cats before but had bought their album back in the 80's and have one day hope to see it live. I saw Cats the musical when my son was 10, which is 30 years ago. We are a music theatre family. My son is an actor-singer and lives in England with his wife. I love th theatre and go as often as I can. We made a 7 day trip to New York a few years ago and saw 9 musicals while we were there. I saw CATS the first year it came out. It was absolutely AMAZING and the memory has stuck with me ever since. I would love to pass the gift on to someone very special in my life . I have never seen Cats before, but have heard good things about it. I saw CATS when I was a child! Never seeen Cats but I love the song "Jellicle Cats"! Would love to see the show! I saw Cats when I was a kid. I'd love to take my son now. I saw cats in Vancouver many years ago. I would love to see it again. I have never been but would love the chance to go see it. I remember my class went once years ago when i was in school but i was sick in the hospital and i messed out. I have never seen cats, but would very much like to. Yes, I saw CATS in London, England years ago. It was fantastic but this looks to be even better! Yes, I saw CATs in London, England years ago! It was great, but this will be even better, I am sure! This would be such a so-phisa-CAT-ed win! Have seen Cats many many years ago in London. Would love to see it again - it is a fantastic production. I have never been to CATS, but that would be an awesome day to go. It's my 40th birthday, yay! and I don't have to go to work that day either. I have never been to the show CATS, but I would totally enjoy it. I have a cat named Scotty and I certainly know that cats have personality. I would enjoy the show. I've never seen it but I've heard some songs from it and I love it! I have nevr seen CATS, but I would love to see it. It is one of the best known musicals, and many people speak highly of it. I've never seen it before, but I think we would enjoy it. I've never seen cats but I've always wanted to! Im a cat lady! I own two musical CATS: The Musical snowglobes - one of Jemima and one of Munkustrap & Grizabella. I have never seen the musical but I seriously hope to one day. I love my snowglobes and they play "Memory" by Barbara Streisand (one of my favourite ballads). Never ever seen CATS before, but heard so much about it! Would love to see it! I've never watched the musical before, but heard so much about it! Would love to go see it! I would SO love to see this!!!! I have never seen CATS but am so happy the musical has returned to T.O.! I will most definitely see this show regardless if I win these tickets or not!!! I've seen it twice - the first time in Jamaica - my Grandma took me as a young 'un - we had SO much fun!!! Then I saw it in Toronto with the hubby - and that was his first time. It would be amazing to see it again! I have never seen it, and my daughter would love to see it with me. I haven't seen Cats. I've been to Mirvish theaters for many other musicals and they are always great. I would love to see this classic. I've never seen Cats, but I sure would love to! I love musicals! However, haven't seen Cats before - would LOVE to!! I've never seen CATS but would love to enrich my children's taste in art. HOW AMAZING WOULD THIS BE TO SEE......PPPUUURRRFFEECCCTTT BABY! Haven't seen the production but would love to. Never seen Cats But we did a production of it in school when I was younger. ( of course I thought I was too cool to attend LO) But would love to see it now!.